"A glorious cross between Miss Marple, Auntie Mame and Lucille Ball with a tad of pit bull tossed in. She's wonderful." 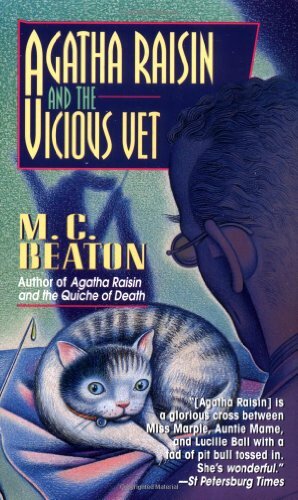 St. Petersburg Times Feisty Agatha Raisin, until recently a public-relations executive in London, has retired to peaceful Cotswold, where a romance is budding with the attractive new village vet, Dr. Paul Bladen. But Bladen accidentally kills himself while attending to Lord Pendlebury's horse, and Agatha must turn to her distinguished neighbor, the retired military man James Lacey, for comfort. Together, the odd couple begin to investigate Dr. Bladen's death . . . and the curious lack of sorrow shown by his divorced wife. But will they succeed in unmasking a killer before suffering an "accident" of their own?